Mr. Katcher graduated from Indian Hills Community College in 1996 with an AA in Computer Programming Analysis. Mr. Katcher went on to work for Cap Gemini in 1996 as a consultant before joining Wells Fargo in 2006 as Business Systems Consultant Manager. During his time with Wells Fargo, Mr. Katcher graduated from the University of Phoenix in 2008 with B.A. degree in Management and in 2014 with a Master in Business Administration. 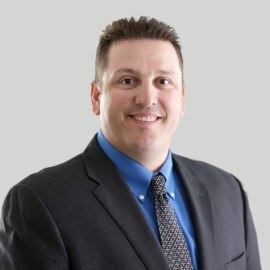 Jason returned to consulting in 2015 before starting his career with ITA Group as a Chief Information Officer in 2016. Mr. Katcher believes that leadership thinking and innovation will help forge the success of ITA Group in meeting the needs of our clients and participants. Jason is excited every day to enable and empower our highly talented, customer focused, creative team members to continually seek to improve and enhance our suite of solutions. Doing so allows our clients and participants to have a true ITA Group experience. Jason and his wife reside in West Des Moines and have four children.